After their first two children (they now have four children), they both felt a strong call to the ministry and together went to Bible College full time. After graduating from our Bible College, the Lord used them to plant several Xhosa churches in the Transkei. Since 2004 they have been closely affiliated with our Bible College and our church planting ministries. 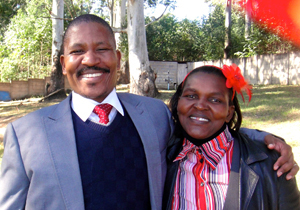 In 2014, they have begun to serve as the directors of the Gatyana Bible College, while at the same time continuing to plant churches in the unreached Xhosa villages. We are honored to have Sipho and Phillipa joining in the team to equip and disciple Xhosa leaders in the Transkei.